We all know very well that the social network giant Facebook has been working for months on the development of a cryptocurrency for the well-known instant messaging app, of course, WhatsApp. As the company created in May 2018 a blockchain division specifically to focus on this project only. The social network giant Facebook has been working for months on the development of a cryptocurrency for the well-known instant messaging app, of course, WhatsApp. As the company created in May 2018 a blockchain division specifically to focus on this project only. And apparently, it will be released in the first half of 2020. This is what a report of the well-known media portal, of course, the New York Times said, talking to five people close to the project. According to the well-known media portal the New York Times, the social network giant Facebook already has conversations with currency exchange offices to offer their crypto-currency to users. 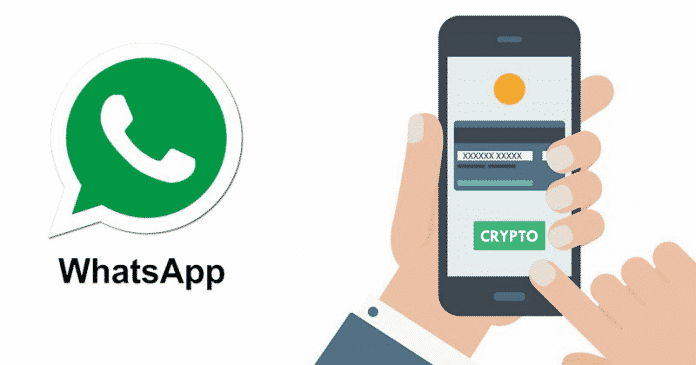 It can be used to send money to WhatsApp contacts anywhere in the world and to make payments within the messenger. One big difference from other crypto-coins is the application’s reach, which already begins with a large user base to be impacted. However, to get the project out of paper, the social network giant Facebook brought together 50 engineers on its blockchain team. The division is led by David Marcus, the former CEO of PayPal and board member of the Coinbase exchange house. But, now recently, he was hired by the social network giant Facebook for its services like Messenger. But, still, according to the New York Times, jobs are being restricted even to other company employees. The blockchain team operates in an office that requires special access cards to limit access. Moreover, the social network giant Facebook’s goal is to prevent its cryptocurrency from registering variations as large as Bitcoin. As the company expects it to be more stable and, to avoid speculation, will make its value tied to conventional currencies such as the dollar. Mark Zuckerberg’s company, of course, the social network giant Facebook is not alone in offering its own currency. As the well-known instant messaging platforms like Telegram and Signal messaging services also have their own plans to do so and, in both cases, the crypto-coins should be similar to the more famous alternatives. With more than 300 million active users, the Telegram should launch its own cryptocurrency, will be known as Gram in 2020. It has managed to raise more than $1.7 billion in its initial offering. The company sent a letter to investors in January to report that 90% of the core components of its network were established. While now if we talk about the Signal, then let me clarify that in turn, it has collected a much lower value for the so-called Mobilecoin. After raising $30 million in 2018, the company is trying to raise another $30 million. So, what do you think about this? Simply share all your views and thoughts in the comment section below. And if you liked this post then do not forget to share this post with your friends and family.